Call, send us a message or text 69583 to 25678! 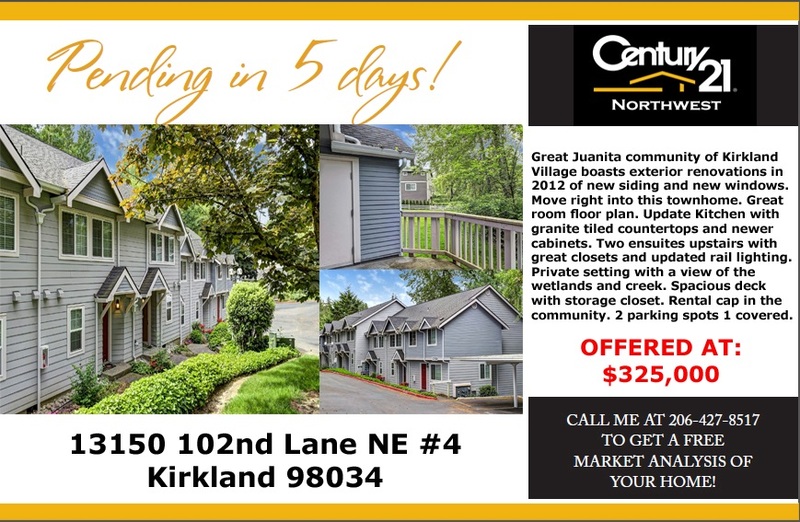 Great Juanita community of Kirkland Village boasts exterior renovations in 2012 of new siding and new windows. Move right into this townhome. Great room floor plan. Update Kitchen with granite tiled countertops and newer cabinets. Two ensuites upstairs with great closets and updated rail lighting. Private setting with a view of the wetlands and creek. Spacious deck with storage closet. Rental cap in the community. 2 parking spots 1 covered.